The tickler file has been central to the GTD workflow since David Allen's first book was published, and I've used one (admittedly on and off, and with varying levels of success) for the last four years. 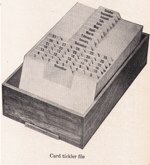 The name of this venerable blog itself is an allusion to the 43 folders that comprise the tickler file (12 months + 31 days). As matters are continually coming up which require action on a certain future date, a follow-up system is necessary in any well-organized office. 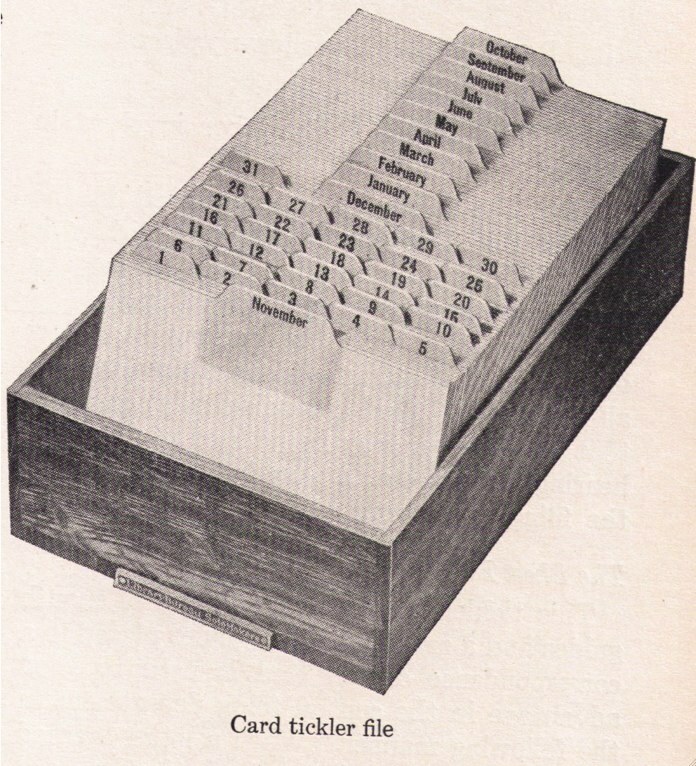 [...] The card tickler consists of a set of month guides and a set of 1-31 day guides placed in a card tray and provides a brief reminder of any matter which is to come up at some future time. It is not necessarily confined entirely to the matter in the file, since it may refer to a telephone call or some appointment. For a good bid of historical life-hackery, check out this classic tome. If Amazon is sold out, you can also give Abebooks a try.